Amsoil vs Royal Purple: Which is better? Let us get into the debate of the most searched topic on the internet when it comes to synthetic oil. Amsoil vs. Royal Purple. What is there to compare between the two oils and is one better than the other? Well, the easiest way to compare synthetic oils is to look into what each as to offer in terms of features and to perform simple tests on fuel mileage consumption. Heat tests to be specific. With the increase in the number of vehicles that are turbocharged or equipped with other heat increasing technologies like direct injection, it is essential to control volatilization rate and direct deposits that are emitted by motor oil. But before we can get to the tests, let’s see how Amsoil and Royal Purple have performed so far by reviewing some of their prime products. First off, in 1972, Amsoil was declared as the only synthetic oil company that ever met the American Petroleum Institute Service requirements. There has been no other way but up for Amsoil with years committed to research and development of better synthetic oils. Amsoil products are exclusively distributed by approved independent dealers to make them cheaper and easily accessible by everyone. 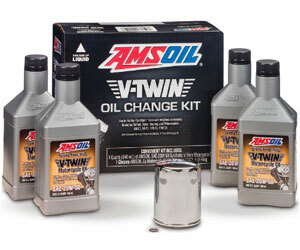 Amsoil oil is quite expensive but delivers twice the performance of other synthetic motor oils. This oil has an extra security layer with heat resistant properties that remain constant even when the engine is working on overdrive. That property helps in reducing fuel consumption even in rough driving conditions. A vehicle develops a crust layer on different parts over time, and that may eventually lead to failure in the compression, roller bearing, and other components. Well, Amsoil motor oil addresses this problem by resisting rust and improves the performance of the engine to give you a smooth ride all year round. It also maintains mechanism flexibility. This oil holds up quite well under extended drain levels and can withstand extreme temperatures. Amsoil performs well under extreme pressure conditions, acts as a gear lubricant and protects your engine from extra-pressurized activities. You, therefore, don’t need to have a spare chaincase lubricant. For that reason, Amsoil is recognized as the go-to motor oil on the motorsport industry, and the brand sponsors a number of racing events in North America. A problem often arises when driving heavily and the clutch performance is reduced due to friction between the clutch discs and plates. Amsoil oil eliminates this problem by reducing the friction between the disc and the plates, and you, therefore, get long life on the clutch. No one switches back to their old oil after trying Amsoil. This oil gives you a nice, relaxing and smooth drive as it takes over the engine and transmission. If you are into motorsport racing, then you will love how you will never experience unexpected engine heat ups or clutch failure when using Amsoil as your oil. Amsoil keeps all your vehicle’s internal systems secure even in extreme temperature conditions. Royal Purple synthetic motor oil hails from North America and meets all requirements for a top notch motor oil in the industry. It is a go-to motor oil for most car owners and automakers due to its superb performance. Royal Purple is run by Calumet Specialty Product Partners (CLMT), which is a leading processor and refiner of specialty hydrocarbon products. Royal Purple is composed of premium base oils and additives. One of the additives is ethanol which makes this oil compatible with the needs of most vehicles. Royal Purple oil offers excellent engine performance and promotes fuel efficiency by providing a speedy clean out of sludge. 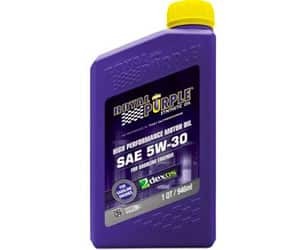 The lubrication of Royal Purple, in particular, has been manufactured with anti-wear compounds that limit friction damage on vital engine components. It can aid in minimizing oil consumption and increase lubrication for older and higher mileage vehicles to improve engine performance and life. Moreover, Royal Purple is fully synthetic meaning that there no traces of crude oil in the product. Being synthetic, it’s tailored to increase mileage values and minimize odd instances such as extreme pressure and heat. These desirable chemical properties are what make the Royal Purple quite expensive in comparison to other synthetic motor oils. Also, it has a suitable viscosity rating that’s 20 in cold temperatures and stands at 50 in normal temperatures. To sweeten the deal, the manufacturers have made this oil with both anti-corrosion and anti-rust agents. The oil has a Proprietary technology add on that provides an extra layer of protection that helps the engine cool while maintaining proper temperature stability and oxidation. That is a feature you will not find with other average synthetic oils. You also get an extended oil change interval with this product for it is resistant to contamination. Royal Purple is the best lubricator for air and liquid cooled engines. It controls the temperature without foaming and comes at an economical price for its benefits. If you have an old car with rust, corrosion and engine problem issues, then this is the right motor oil for you. 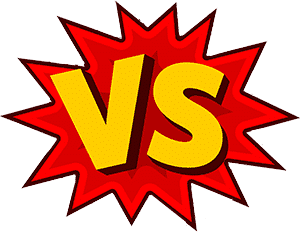 Since we cannot go on features alone to tell which is better of the two, we will need to look at a few tests run by engine oil specialists to determine which the better oil is. This is similar to the Frosty Wrenching Thickness Test. Engine wear mostly occurs right when you are about to start your engine. You need the oil to begin streaming instantly in order to limit wear. The thicker the engine oil is at the point when it gets cold, the harder it is to pump it through the engine. A test performed by the Independent Third Party Lab shows that Amsoil has the lowest viscosity at -30°C which is below 4000 and Royal Purple is a bit higher at it is above 6000. The API SN/ ILSAC GF-5 Upper Viscosity limit is set at 6600. 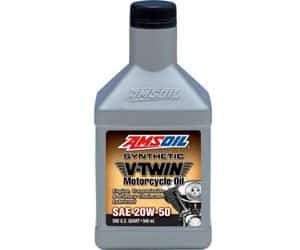 The lower the viscosity number, the better the motor oil is, and Amsoil is pretty small. This test entails simulation of turbocharger operating conditions and is tailored to show the highest temperature deposit forming attributes of engine oil. Engine oil often forms deposits on fuel injectors, turbo, and other high-temperature areas when it is burned off under high temperatures. The small deposits on the aforementioned crucial parts minimize combustion efficiency and interfere with the injectors spray pattern. This, in turn, affects your engine power and life. As per ILSAC GF-5 and API SN Resource Conserving motor oil specifications, it is recommended that motor oils rated 5W-30 must cut their limit deposit formation to 30mg or less. Amsoil still emerges as the overall winner in this test with total deposit weight at 7.0mg while Royal Purple is at 25.4mg which is relatively close to the 30mg limit. The bottom line is that Amsoil motor oil deposits well and is, therefore, the better engine oil. The four-ball wear test is used to show the wear preventive attributes of lubricating fluids in sliding contact under set test conditions. 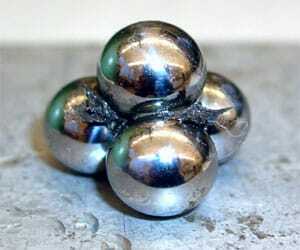 In the experiment, a metal ball is pressed and turned down into three separate balls arranged in a triangle. All this is done in a shower of the test oil. The better the oil secures the ball then the less harm that occurs. 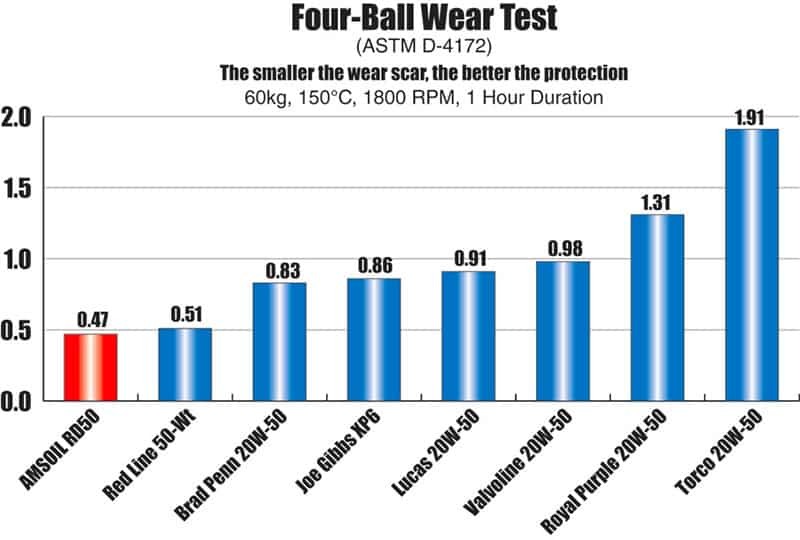 In this test, Amsoil emerges first with little scar wear that’s under 0.40 mm on the ball and Royal Purple comes at a figure very close to 0.40mm and at fourth place after other synthetic oils like Lucas and Valvoline Synpower. Amsoil goes down in history as the first ever motor oil company in North America to apply the NOACK vitality test to test motor oil quality and performance. NOACK has now become a critical measurement tool and is used by many competing motor oil companies in the industry. 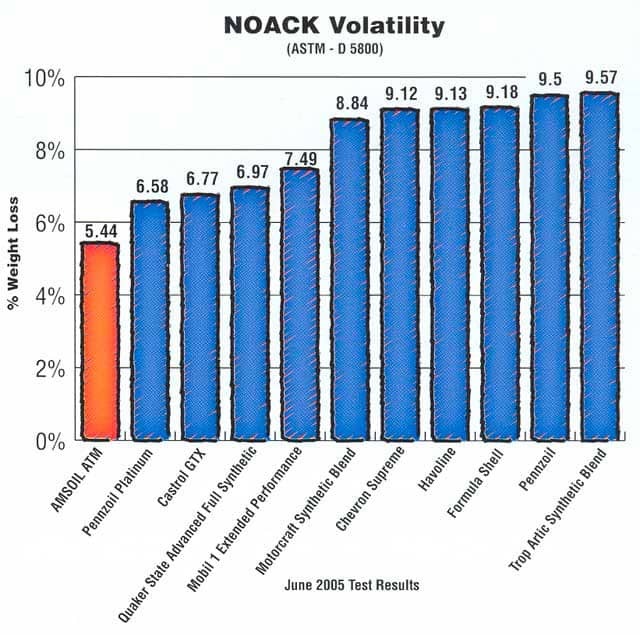 NOACK volatility test tells us how much weight is lost from motor oil after volatilizations. If the oil has a high vaporization rate, it gets thicker, has poor circulation and reduces fuel economy. The test entails heating up the oil to 150°C to boil off the light molecules. Results are then recorded in percentages by weight of the vaporized oil. The lower the percentage, the better the fuel economy and the oil’s resistance to volatilization. The APM SM motor oil specification dictates that the maximum percent volatilization rate should below 15%. AMSON stands at 5.70% while Royal purple is at 11.20%. This is also referred to as Add up to Base Number Test. This test is a measure of the engine oil’s reserve alkalinity which helps regulate acids formed during the combustion process. It also shows a lubricants deterioration in service. A high TBN means that the lubricant has good retention and can reduce the harmful effects of acids. 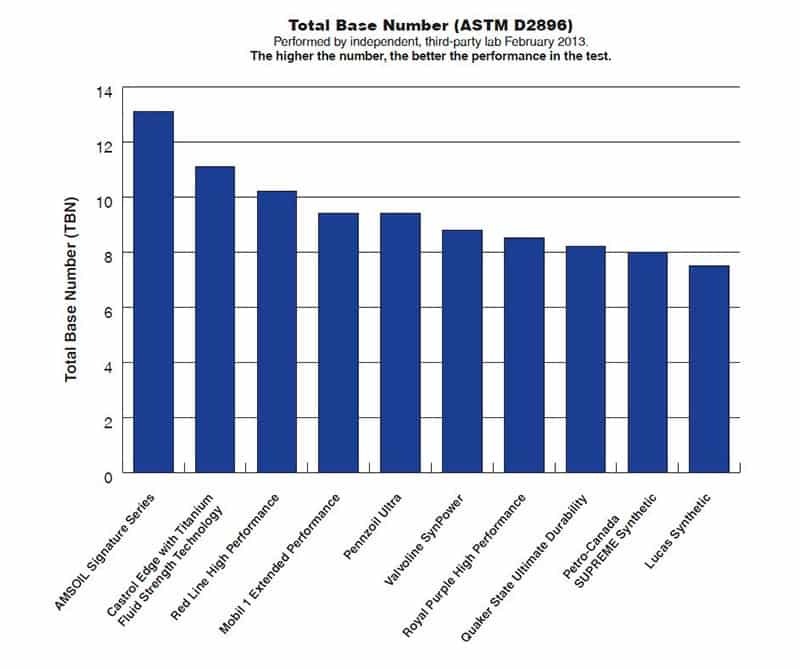 As per tests that were done by an independent, third-party lab in February 2013,(Independent in that they were given oil samples to test without knowing which sample belonged to which company and the results are therefore unbiased) the results show that Amsoil registers the highest TBN of 14 units while Royal Purple is at 9. Amsoil fairs very well in comparison to its competition. 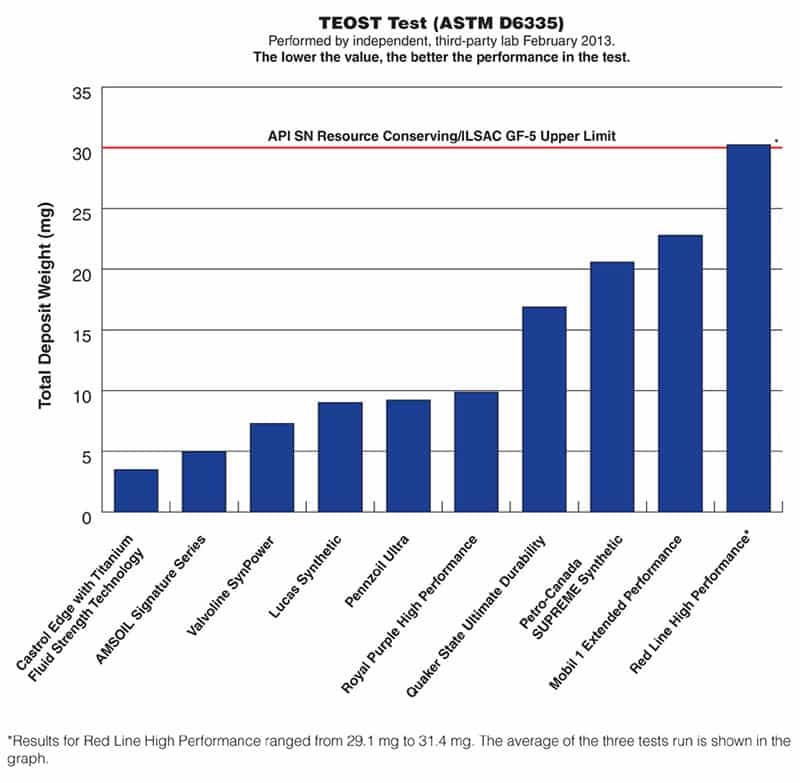 For over 40 years, Amsoil has performed better than most of its synthetic oil competitors in tests, and they do publish their results for your benefit. It is an excellent choice for race car drives and other heavy-duty vehicles. You are also guaranteed to get more life from Amsoil. Royal Purple is more suitable for stressed engines that require better oiling support and reduced friction. It improves the life term of such engines and acts as excellent resistance to rust and corrosion. Nevertheless, both Royal Purple and Amsoil meet or exceed all API performance standards. Does Amsoil make conventional oil? How often should you change Amsoil? Does Amsoil cause oil leaks? Who makes Royal Purple motor oil? Does Royal Purple oil make a difference? How many miles can you go with Royal Purple? Is Royal Purple oil really purple? Amsoil oil is a fully synthetic oil meaning that it is made in the lab by a combination of polymers and has no trace of crude oil. Amsoil oil can take you for up to 25,000 miles before an oil change is necessary. However, you should consult your vehicle owner’s manual to know what maintenance recommendations are provided for your car brand. No. Amsoil synthetic oil is compatible with modern sealant material and doesn’t cause engine leaks for it is formulated to keep seals pliable enough to prevent leakage. Royal Purple was founded by John Williams as an industrial lubricants company. The company is currently known for producing a superior line of consumer automotive products and is also prime lubricant supplier. The company was acquired by Calumet Specialty Product Partners (CLMT) in 2012 and has its headquarters in Indianapolis, IN. Royal Purple makes a massive difference for old vehicles in the way the engine runs smoothly due to low friction and resistance to corrosion and rust. Royal Purple will give you unparalleled protection for up to 12,000 miles before you need an oil change. However, today’s vehicles are recommended service intervals which entail oil changes after every 7500 miles in order to avoid problems in the future. Look into your car owner’s manual on the recommended oil change interval. Yes, it is. When Royal Purple’s plant manager saw how the lubricant solved all the company’s equipment problems and how it was superior to any other lubricant they had tried before, they elected to make it purple. 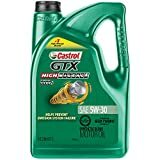 If you are a motorsport racer or a car enthusiast, then you should go for the best engine oil for your car. It is safe to say that Amsoil and Royal Purple both pass engine oil tests and can take you for over 1 year or 12000 miles between drain intervals and also keep your engine clean and offer better engine wear protection. They are therefore worth your time and money.